Is there anything more classic than a pair of jeans? We didn’t think so! 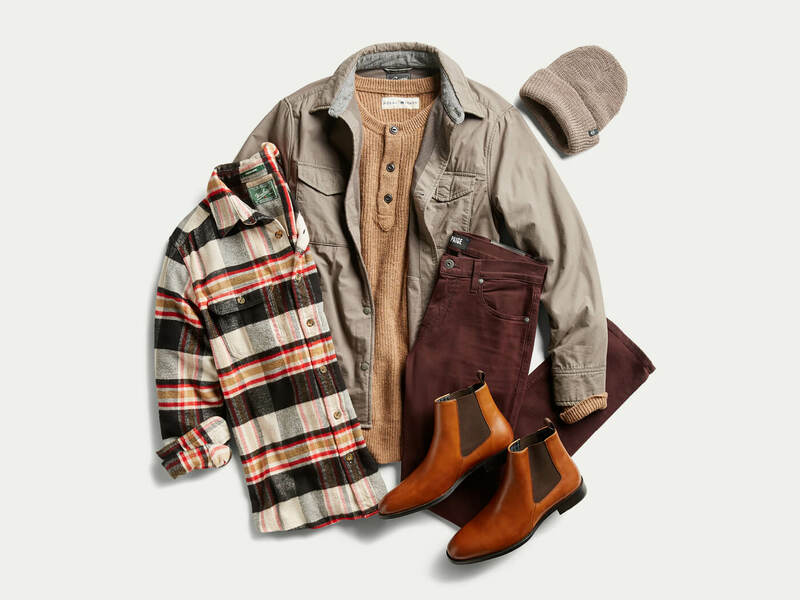 While blue may dominate the color spectrum, adding variety and versatility to your denim wardrobe is as easy as adding a little bit of color into the mix this fall. From neutrals like black or gray to the season’s trending shades, read on for more on how to wear colored denim with ease. Colored bottoms keep you on trend season after season, so in the cooler months reach for deep, rich colors like burgundy, olive and rust red. When the weather warms up, go with bold, strong colors like green, coral, or cobalt blue. A chambray button down and a pair of chukka boots finish the look in any season. Stylist Tip: If it’s your first foray into color, keep it simple by pairing your colored jeans with a neutral shirt. Not ready to dive head first into bold color? Not a problem! You can still make a subtle change by swapping out blue jeans for neutrals like gray, black and even white. 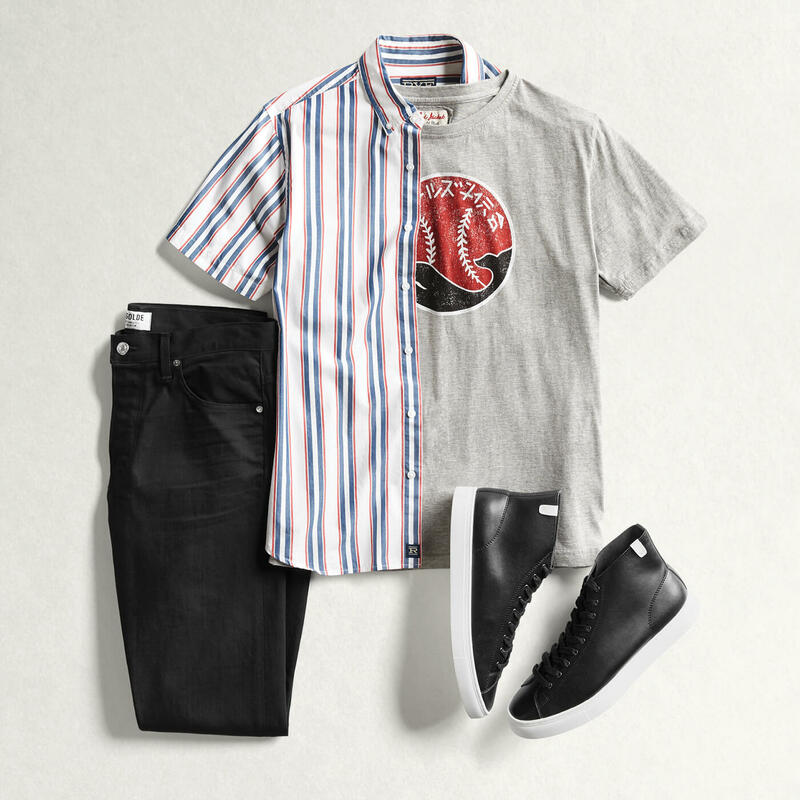 Gray denim transcends seasons so you’ll be able to wear them in the summer with a short sleeve button down and in the fall with a plaid flannel. Due to the darker shade, black denim always looks a little more polished and refined than other washes. Opt for black denim in a slimmer silhouette to keep your body line long and lean. If you’re a little more adventurous with your style, give white denim a try. Bright white can be too stark of a contrast–and difficult to keep clean–so try a creamy shade of white, which is more forgiving. 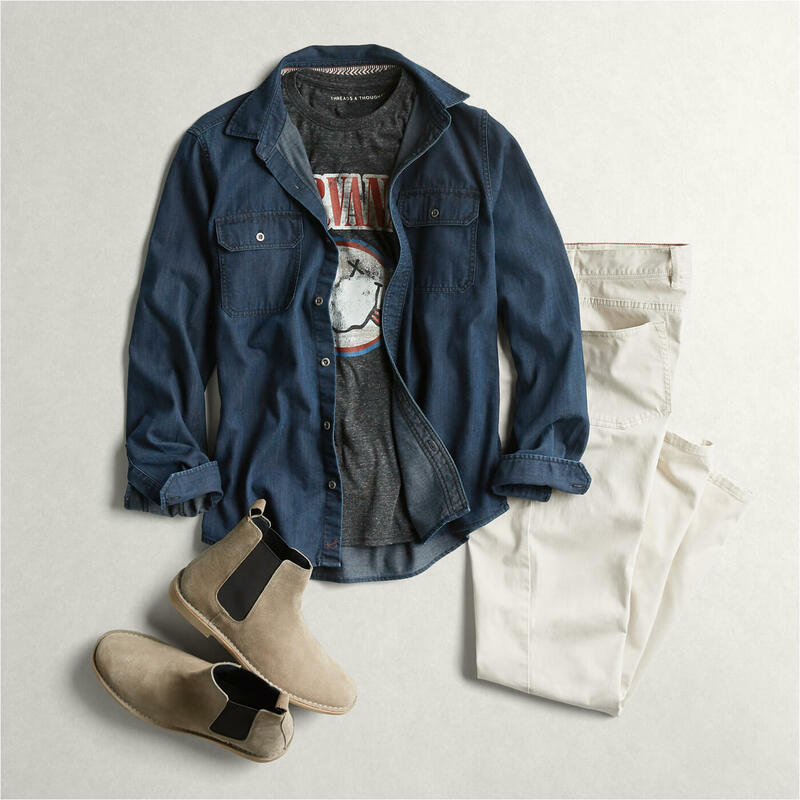 If your tried and true blue jeans are still your go-to, you can still diversify your wardrobe with different washes of blue. 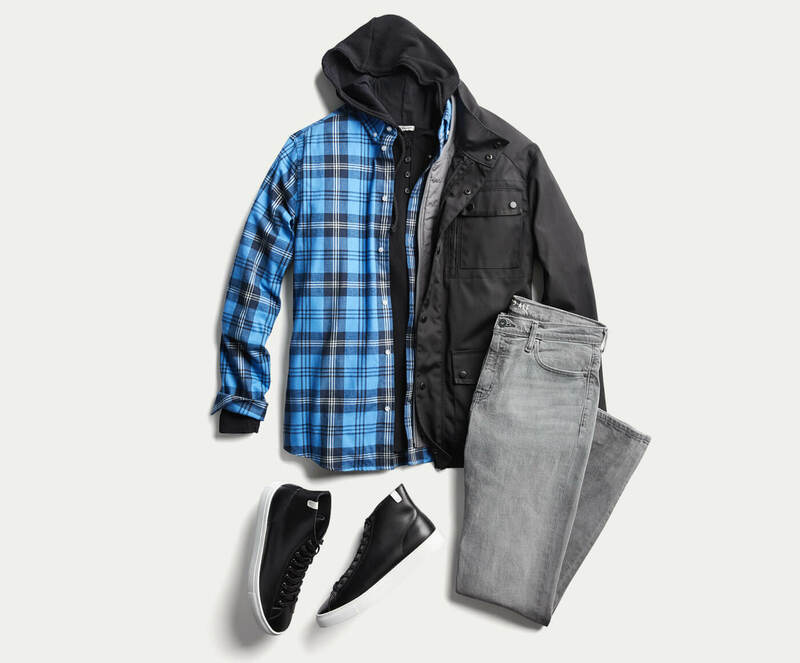 Add a dark wash, medium wash and light wash jeans to your wardrobe so you’re covered for any occasion. Ready to give a new shade of denim a try? We’d love to send a pair your way.